The Rolling Stones have finally begun to assemble and release their vast archives. Setting up The Official Rolling Stones Archive online, their first release was The Brussels Affair ’73. Long hailed by die-hard Stones fans as one of the band’s greatest live performances, The Brussels Affair has been a mainstay in the underground music world for years. 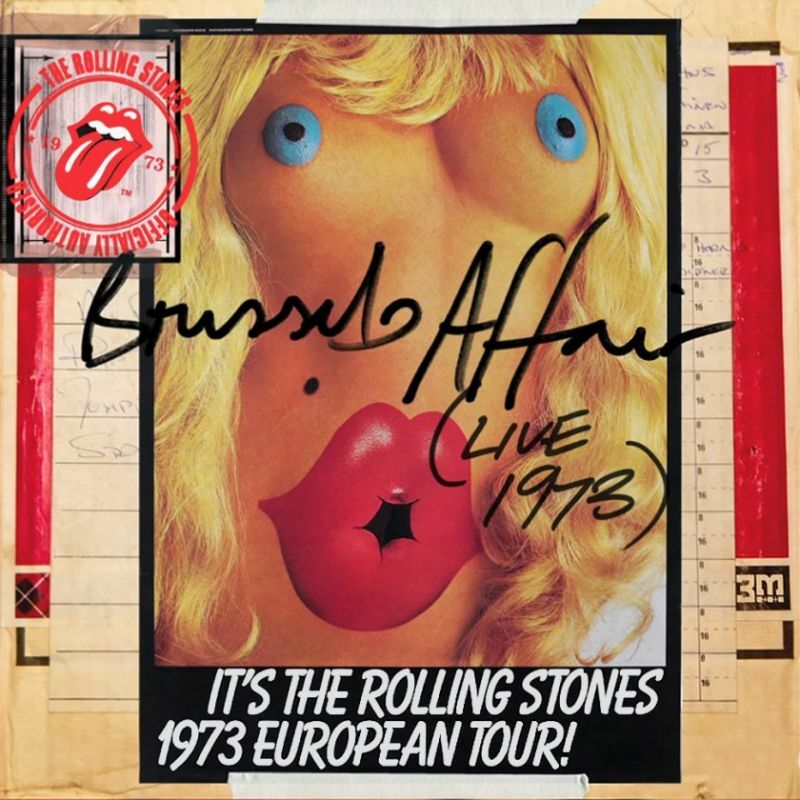 The album is pulled from the two gigs that took place at the Forest National arena in Brussels, and was originally recorded by Andy Johns on the Rolling Stones Mobile Studio. Bob Clearmountain applied the final mix in 2011. 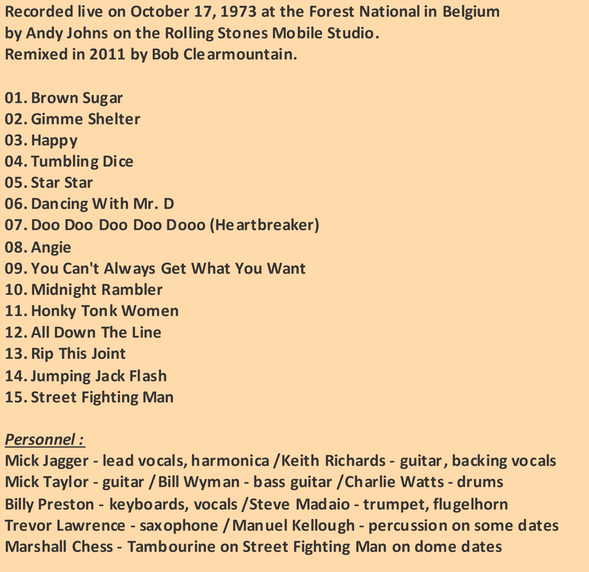 As i said it is compiled from two shows recorded in Brussels on 17 October 1973 in the Forest National Arena, during their European Tour. The album was released exclusively as a digital download through Google Music on 18 October 2011 in the US and through The Rolling Stones Archive website for the rest of the world in both lossy mp3 and lossless FLAC format. The 2011 digital edition has been bootlegged on physical CD. The title of the release is the same title as several famous and widely known bootleg recordings. The most famous iteration consists principally of the early show as broadcast by the King Biscuit Flower Hour (with “Starfucker” omitted due to its lyrical content) and several bonus tracks (“Gimme Shelter,” “Happy,” “Doo Doo Doo Doo Doo (Heartbreaker)” and “Street Fighting Man”) added from the 9 September 1973 London show. The official 2011 release is mainly culled from the late show; however, “Brown Sugar,” “Midnight Rambler” and a transposed guitar solo on “All Down the Line” were taken from the early show. The sound on the “official bootleg” is fantastic! 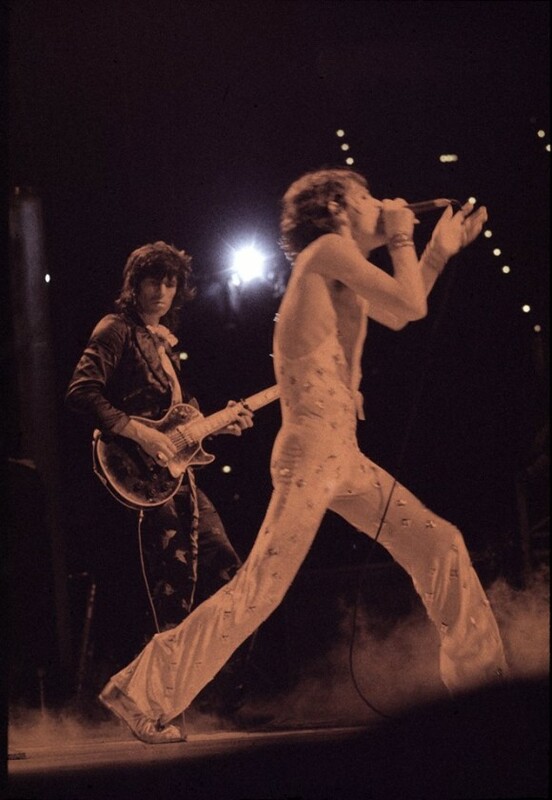 Although the Stones began readying a live album of the show for commercial release, the idea was ultimately shelved – a tragedy given the ferocity of the set and the definitive live versions of Stones classics that it presents. Fortunately, that has all changed today. If there was one Rolling Stones bootleg that needed to find its way into the mainstream, Brussels ’73 was it.